Hangar 1 Rosé Vodka stars in this springy vodka cocktail kissed with floral pink grapefruit juice, elderflower liqueur, and sparkling rosé. Thanks to the folks at Hangar 1 Vodka for sponsoring this post! 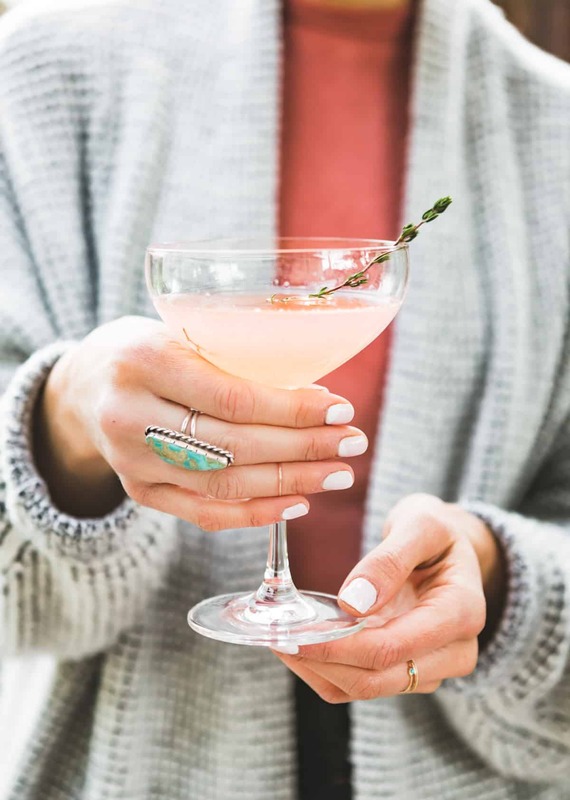 I’m excited to introduce my new favorite cocktail, blushing pink and perfect for anticipating spring. 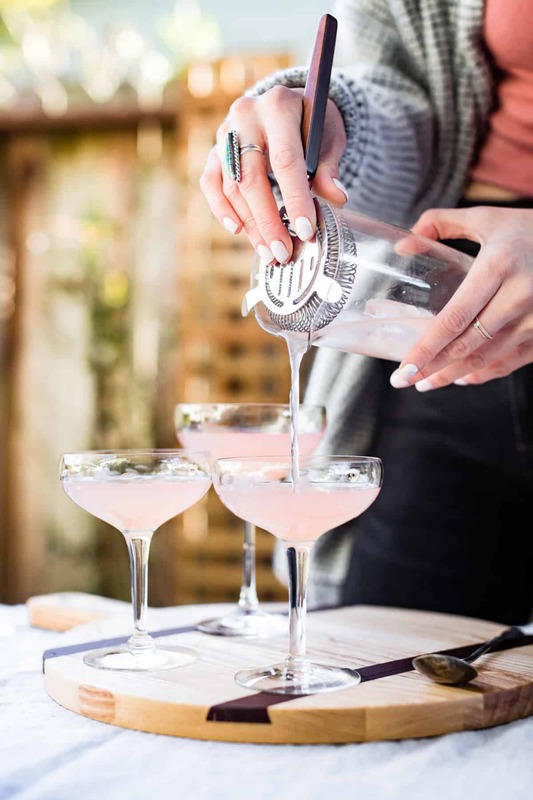 The drink hinges on Rosé Vodka, the latest, pinkest creation from head distiller Caley Shoemaker at Hangar 1 Vodka. 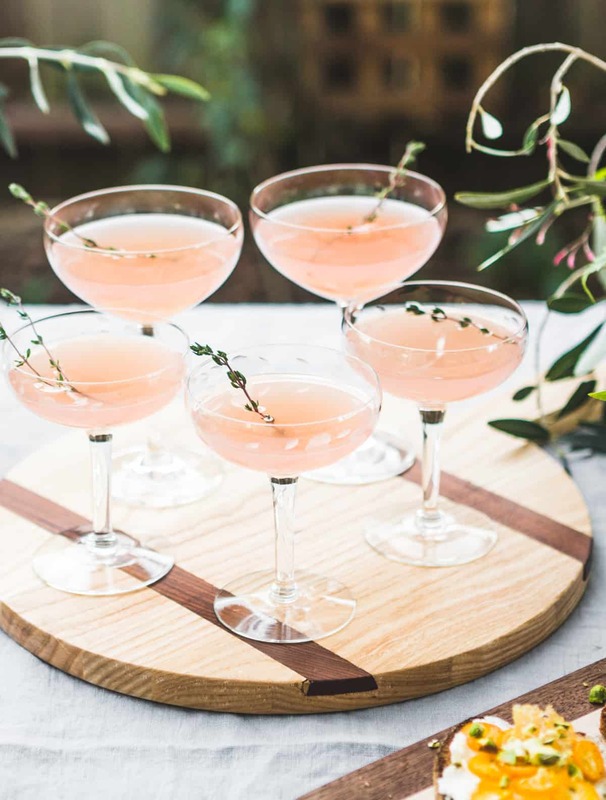 Fresh-squeezed pink grapefruit, a splash of elderflower liqueur, a drop of lemon, and a pour of sparkling rosé accent the vodka for a balanced cocktail that sings of spring. 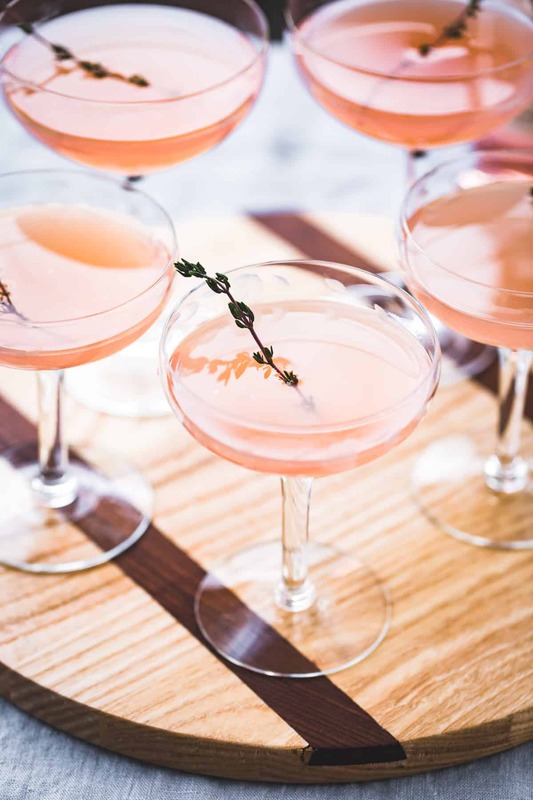 With three types of blushing pick liquids (Rosé Vodka, sparkling rosé, and grapefruit) it’s a rosé three-way. The Hangar 1 distillery is situated by the water in Alameda, California, where the most flavorful vodka is produced from fresh ingredients. Made from grapes and grains, their Straight Vodka has a complexity that other vodkas can only wish for. 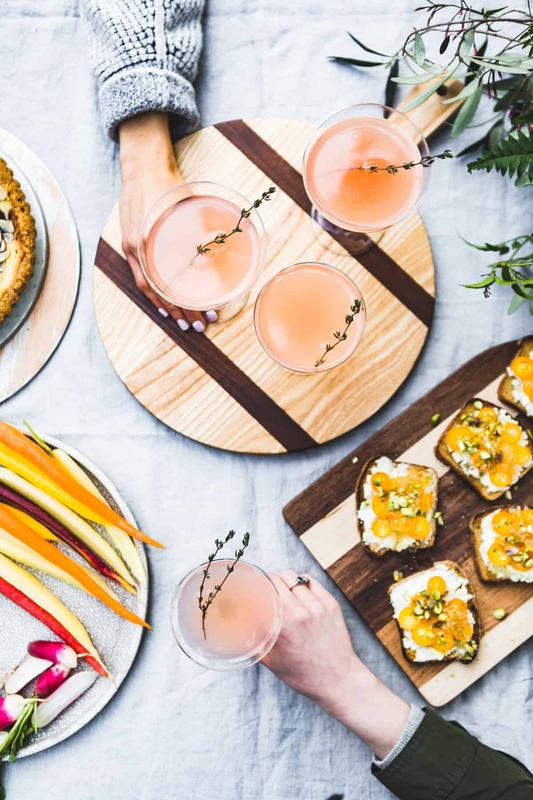 It’s tasty enough to sip neat, and you can indulge in flavors from Makrut Lime to Honeycomb to Mandarin Blossom, and more. A tour and tasting at the distillery is a lovely way to spend an afternoon. If you’ve never been, you can get a feel for the distillery (and another tasty vodka cocktail recipe) in this post. 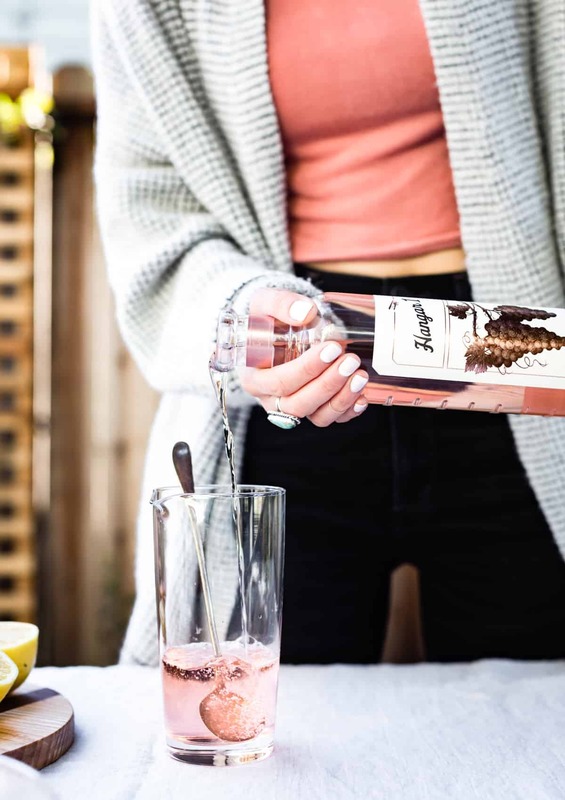 The pretty-in-pink Hangar 1 Rosé Vodka is made by blending vodka with California rosé wine, which results in a sweet, mild flavor that’s a touch less strong than straight vodka – 30% alcohol vs the typical 40%. The flavor is balanced and slightly sweet, with notes of fruit, flowers, and a bit of oak at the finish. I had the pleasure of attending the Rosé Vodka launch party at the distillery along with my friend Kimberley from The Year in Food. There we got to taste all kinds of goodies made with Rosé Vodka, including 5 different cocktails crafted by Trick Dog. My favorite was Danny Devito Presents, made with Lillet Rosé, strained and served in a coupe glass. Inspired by the quick technique and floral flavor profile, I mixed up this Sparkling Grapefruit, Elderflower & Rosé Vodka Cocktail. 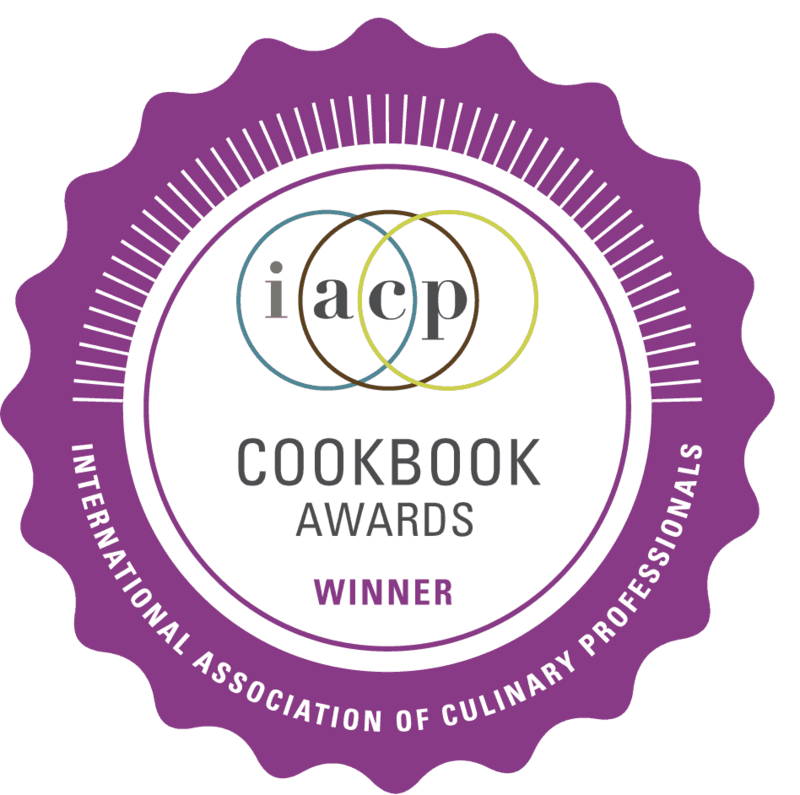 While many of my cocktail concoctions take time to muddle or steep, this vodka cocktail comes together in a snap. 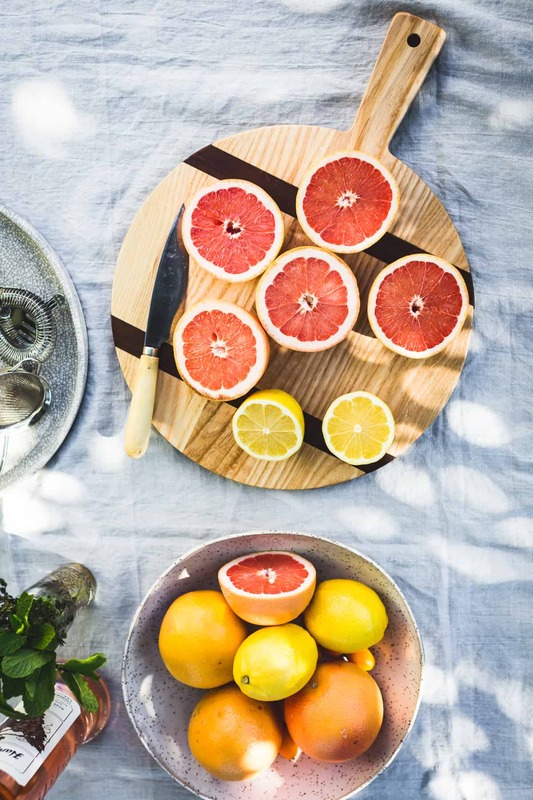 The flavor of freshly squeezed pink grapefruit is unparalleled, and the large fruits take little time to juice. 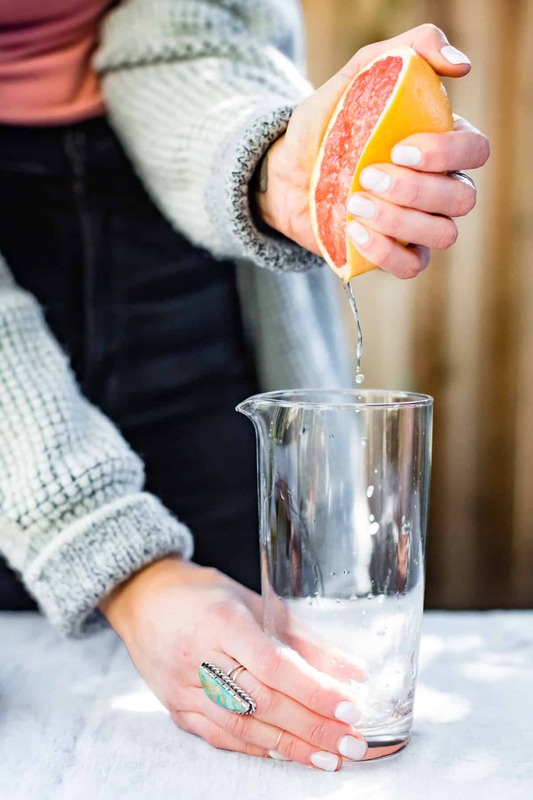 Add equal parts grapefruit, Hangar 1 Rosé Vodka, and sparkling rosé, half a part of elderflower liqueur, and a squeeze of lemon to taste. 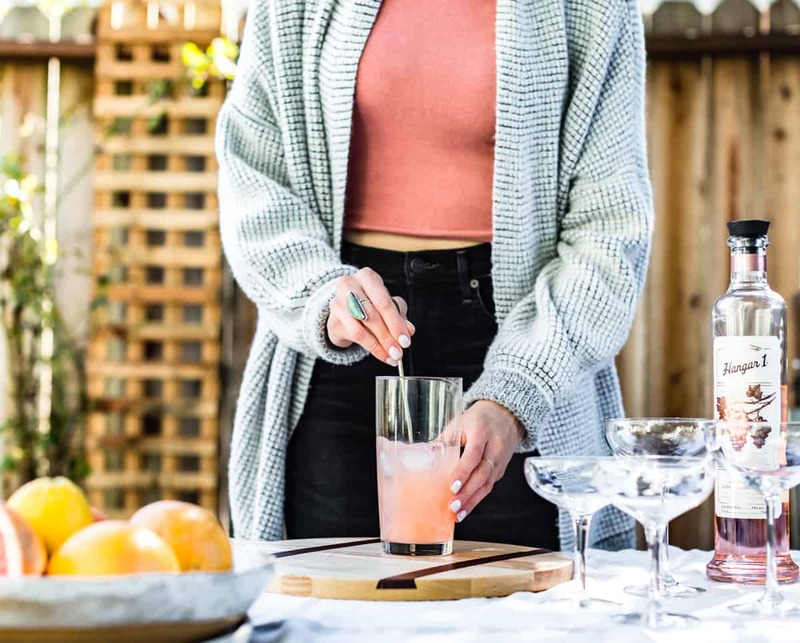 Stir with ice, strain into coupe glasses, top with an herb sprig, and you have yourself a garden-party-ready cocktail in no time. 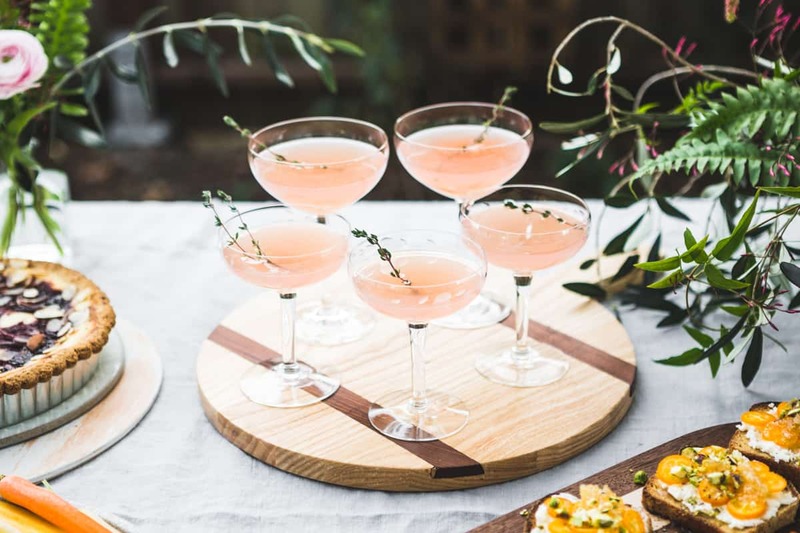 This cocktail reminds me of a really good grapefruit mimosa, my brunch cocktail of choice, only with a kick of floral complexity from the elderflower liqueur and Rosé Vodka. 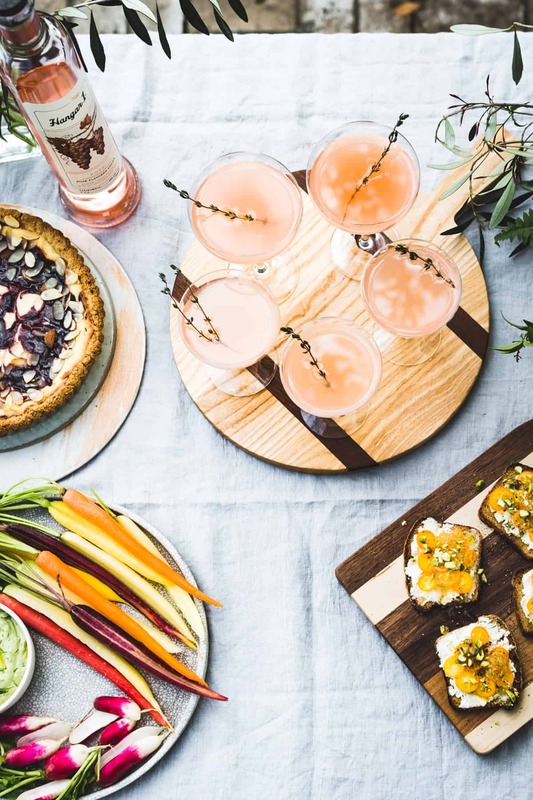 The oak and tannins in the rosé keep the drink from tasting overtly sweet, and the mild alcohol content makes it just the thing for afternoon sips. Armed with a pitcher of Rosé Vodka cocktails, my friend Emma and I gathered a few friends in her Napa backyard, right in the heart of wine country, to nosh and sip in the chilly sun. We’re having a “cold snap” here in NorCal, which means that we have to wear a jacket DURING THE DAY. 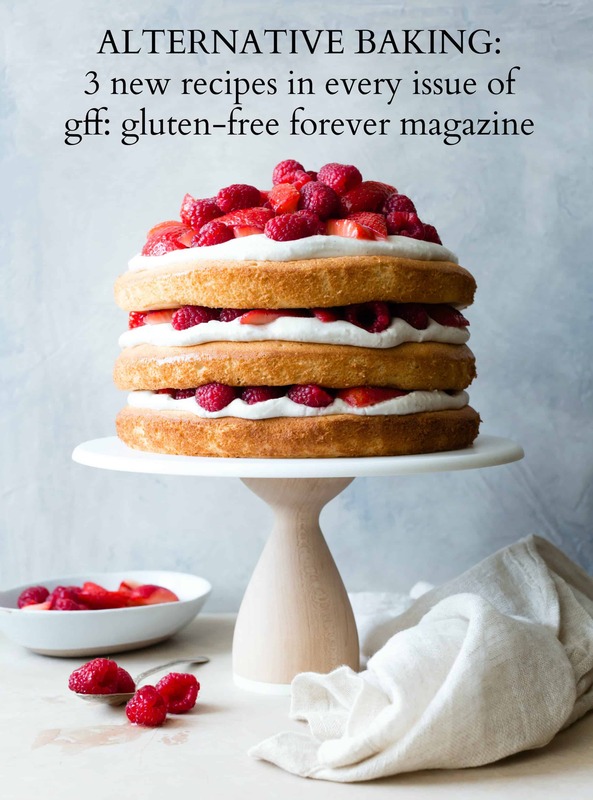 Still, we braved the “cold” and grazed on kumquat honeycomb tartines, green goddess hummus with spring veggies for dipping, and this delicious gluten-free jam and ricotta tart. Washed down with these quaffable cocktails, I couldn’t think of a more enjoyable way to day drink. 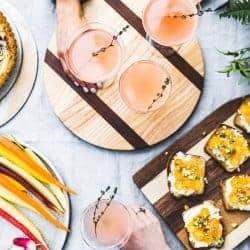 If you’re on the hunt for more Hangar 1 goodness, mix up some Chamomile Honeycomb Gimlets or Rosemary, Pomegranate, & Grilled Meyer Lemon Sparklers, or browse their impressive collection of cocktail recipes. 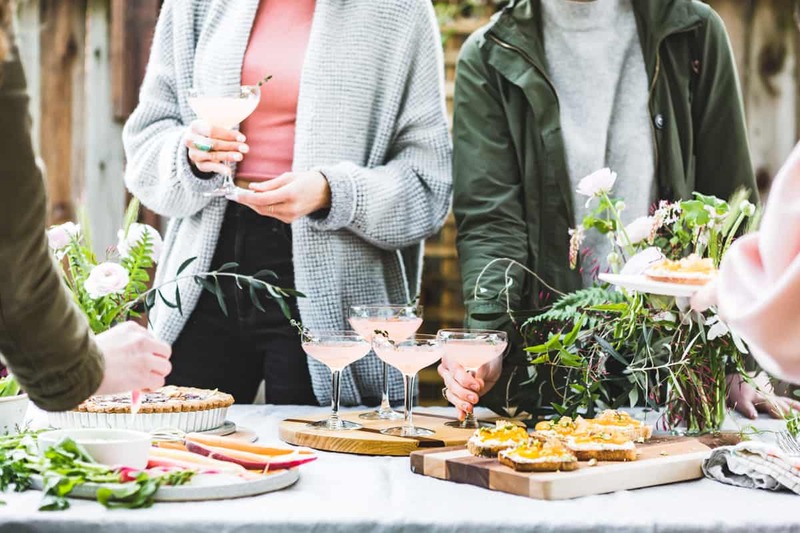 Special thanks to Emma for her hand modeling and styling skills, Jaime for the beautiful flowers, Nicole and Ella for sipping drinks with us in Emma’s backyard, and to Hangar 1 Vodka for sponsoring this post. 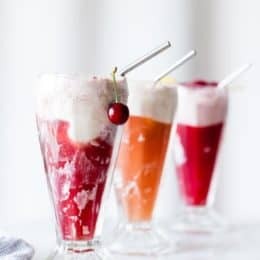 This recipe makes a petite drink which is good for lightweights like me, and it fits well in my vintage coupe glasses. Feel free to increase the quantities by 50% if you prefer a taller sip. 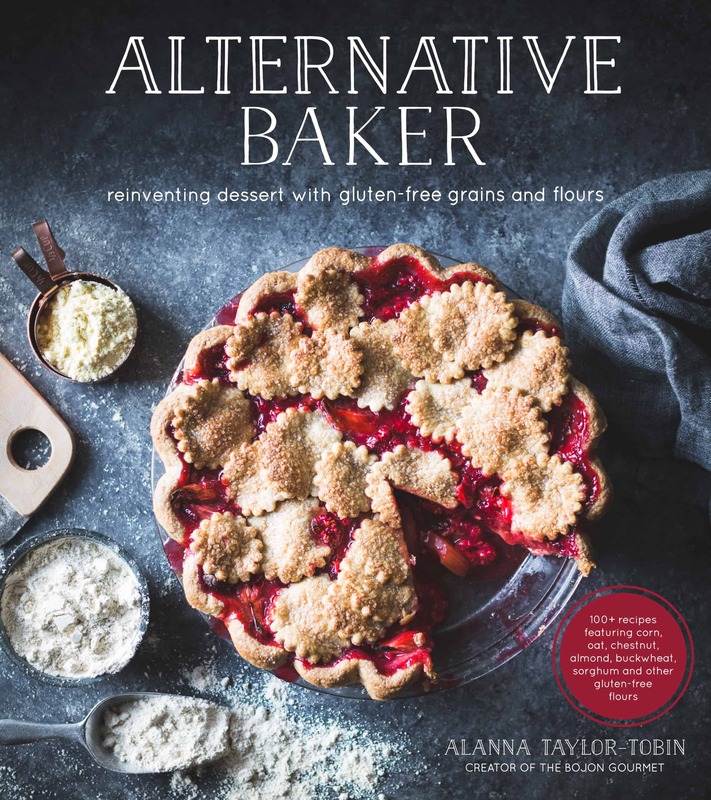 The recipe multiplies easily to serve a crowd. 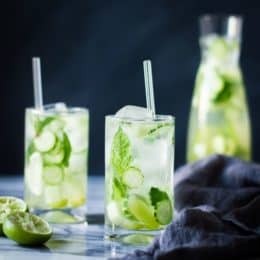 Just combine everything except the ice and garnish in a large pitcher and chill until guests arrive, then stir, strain, and sip. 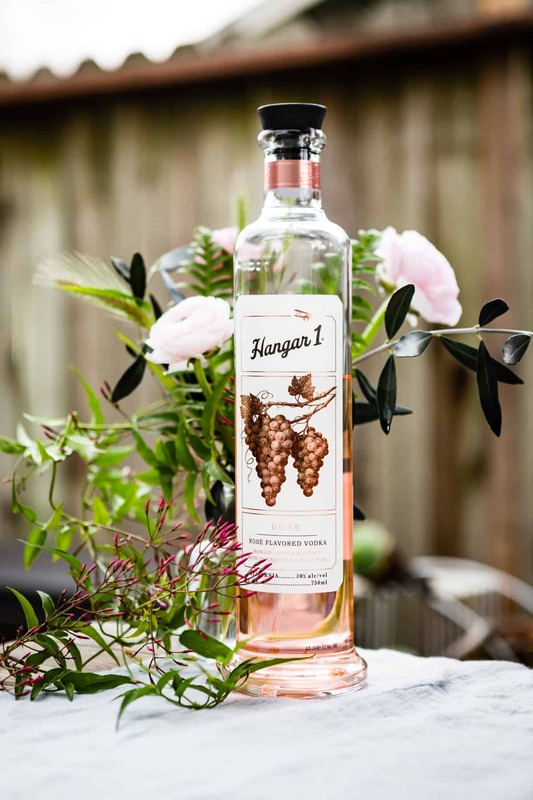 Hangar 1 Rosé vodka can be ordered online, or give this a try with Hangar 1 Straight Vodka if you have some on hand. 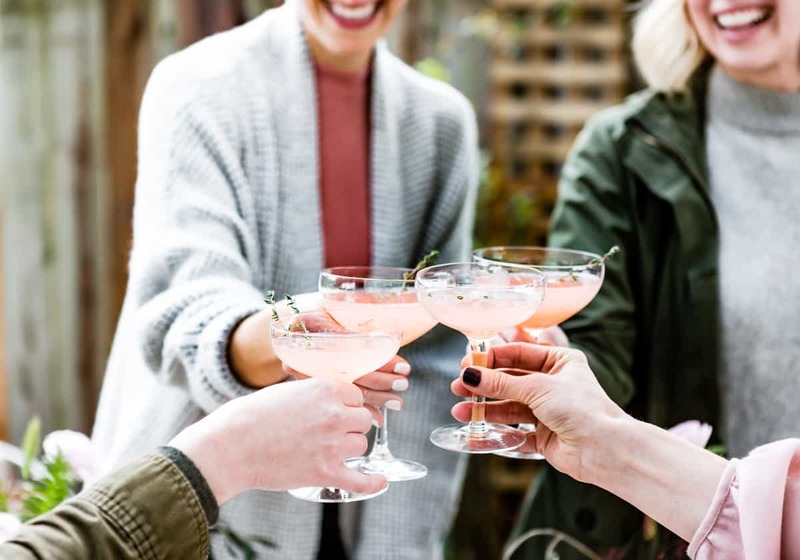 Combine Hangar 1 Rosé Vodka, grapefruit juice, sparkling rosé, St. Germain, and lemon juice in a stirring glass and add ice to fill halfway. Stir for 10 seconds, strain into coupe glass, and serve. 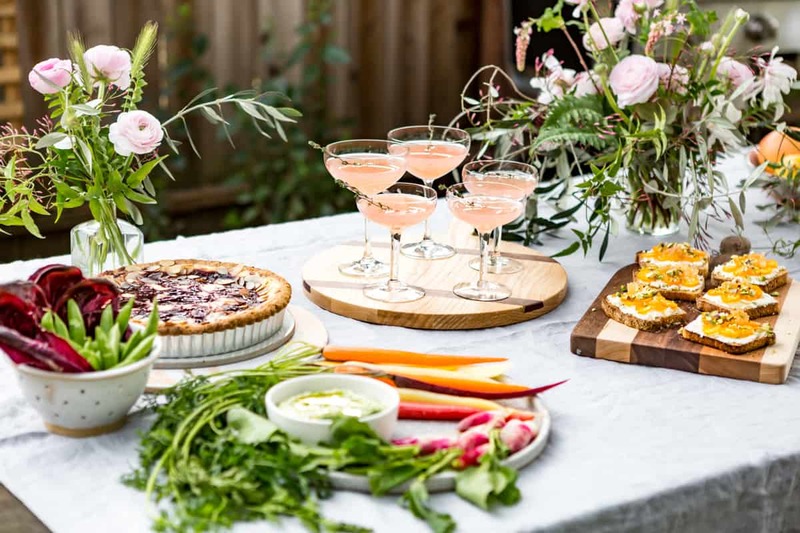 What a beautiful spring cocktail! A fresh play on a French 75 that I must try. Yes please!!! Pretty in pink! We have to make these together!! Holy crap lady this shoot is freaking incredible!! 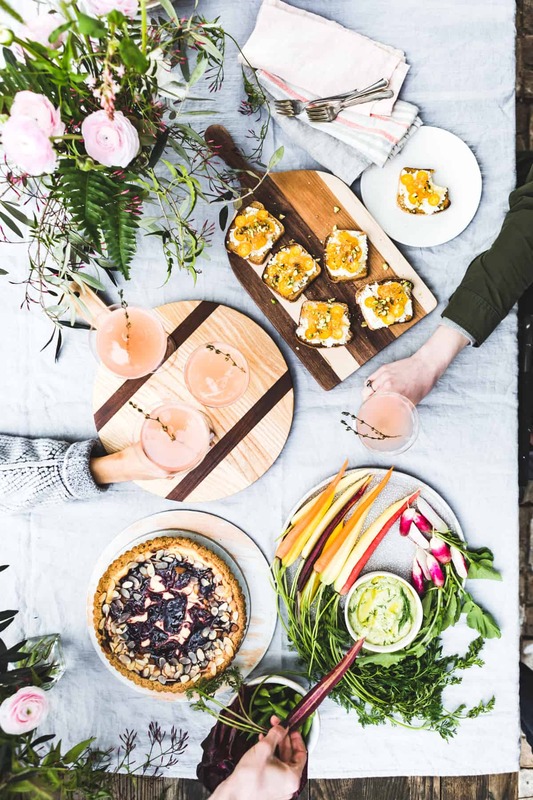 Maybe my favorite food + people shoot that you’ve ever done! Oh and yummmmmm!!!!! 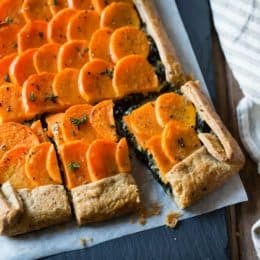 On my list for my dinner party this weekend! Eeeee! I hope you love it! lovely cocktail with a nice mix of ingredients, love the elderflower liqueur, especially since I still have some from another recipe that I’ve not used much of, I love that this is not too sweet, my biggest problem with a lot of cocktails, so much appreciated, thank you! How beautiful this pretty-in-pink Vodka is! Really tempting! !